It doesn’t matter if tiger girl Xosar is closely befriended with Legowelt or not. What matters is her impressive entry to the stage of electronic music with an EP of tropical cruizing on L.I.E.S. 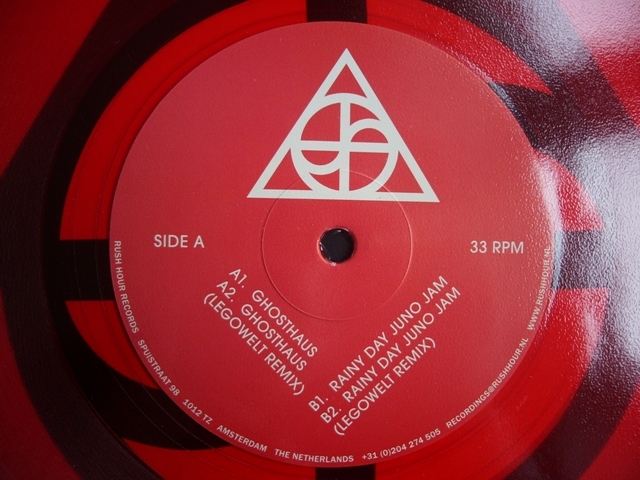 Now the next one: Nice graphic sleeve holds red vinyl containing a power snack consisting of “Ghosthaus” and “Rainy Day Juno Jam”. Xosar’s originals are carried by foggy synth serpentines, only they are too short for a deeper impact. But Legowelt’s helping hand has stretched both cuts into two functional jams. A neat but unpretentious release for Rush Hour by a new ambitious artist, already credited for her live appearances.